The internet is full of people creating, posting, and looking at images overlaid with text. An examination of their behavior reveals two disparate factions, each working to produce contradictory representations of the world. First, there are those people who carefully curate Instagram, Tumblr and Pinterest accounts filled with elaborate pseudo-profound quotes and inspirational pictures. 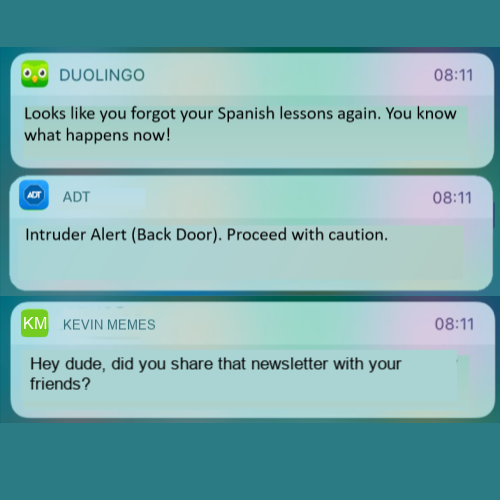 These people are often characterized as teens, typically female teens, (although, when was the last time you checked what your dad was actually doing on his computer?) and get stereotyped as being overly sensitive and emotional. The second group of people enjoy a far more cynical pursuit; laughing at the often irreverent humor found in the best memes. 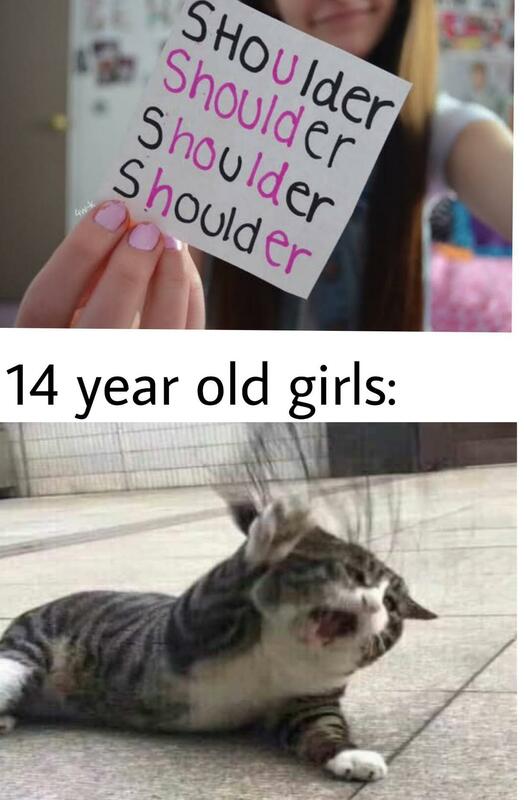 What is known of these individuals is that they are emphatically not fourteen-year-old girls, and that they love to mock the quixotic reactions of individuals who find emotive value in internet quotes. The foundations of the most recent clash between cynical meme lovers and temperamental quote collectors appears to have been laid eons ago—around 2010. 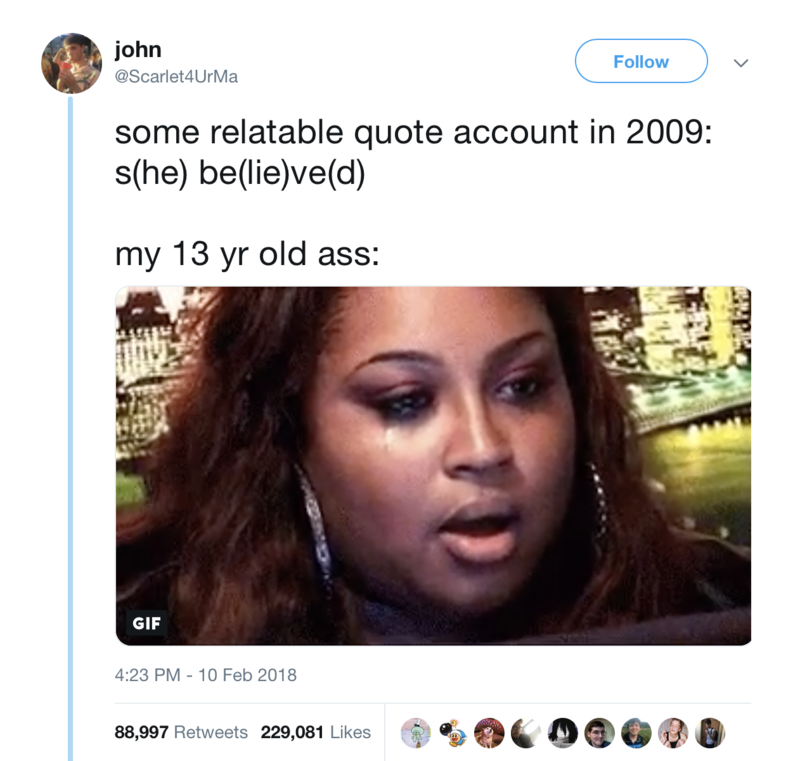 A quote appears online in this time period: “S[he’s] br[ok]en [because] s[he] be[lie]ve[d].” The single sentence contains within itself an entire drama of a girl taken advantage of by some duplicitous boy. 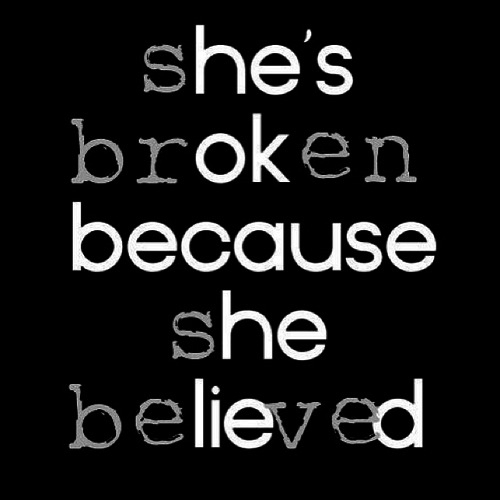 The details are vague enough that the reader can impute onto this phrase an infinity of different interpretations regarding what exactly she believed, in what flagrant manner she is now broken, and why precisely the boy lied. For those people willing to use their imaginations, here was a story as fraught with tragedy as Shakespeare’s Romeo and Juliet. 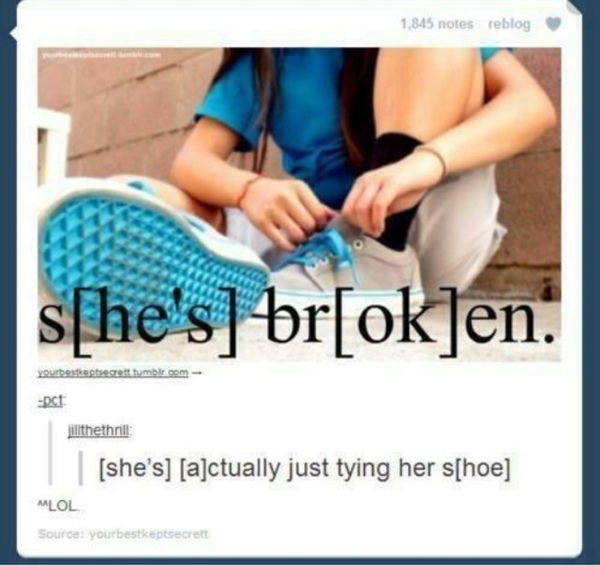 Perhaps this message was too overpowering to be handled in its entirety, as both “S[he’s] br[ok]en” and “s[he] be[lie]ve[d]” were quickly separated into two distinct messages and made their way into Urban Dictionary in 2010 and 2011 as separate entries. The early iterations of this message, for the most part, circulated through Tumblr and Pinterest un-mocked. One early exception of the earnest investment in the theatrics of this phrase involved mocking the picture in the background of the phrase, rather than the textual expression itself. S[he] be[lie]ve[d] refused to die and continued to percolate through the minds of people, as Twitter user @Scarlet4UrMa tweeted a memory of the phrase in early 2018. 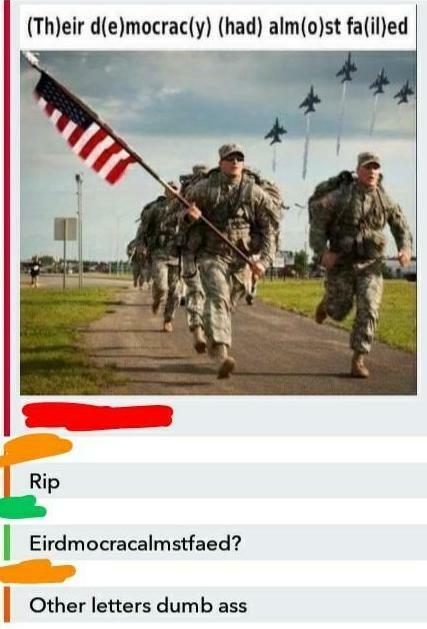 Then, earlier this month, Redditors grabbed hold of the message. 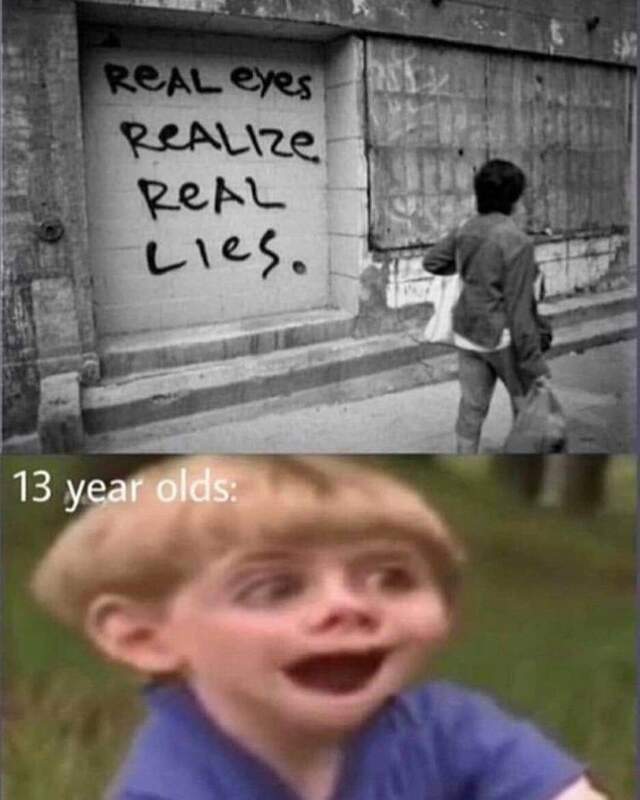 The subreddit deemed particularly responsible for the renewed dissemination of this phrase was r/im14andthisisdeep, whose core purpose is mocking things that young teens think are profound messages. 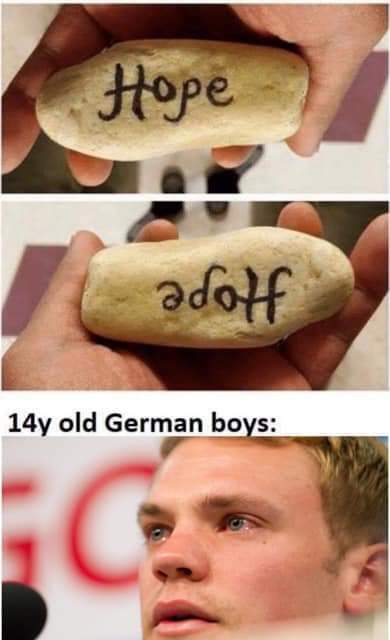 Many of the initial memes created on this topic are brutal tear-downs of the emotional reaction of 14 year-olds, without much attention paid to the message itself. 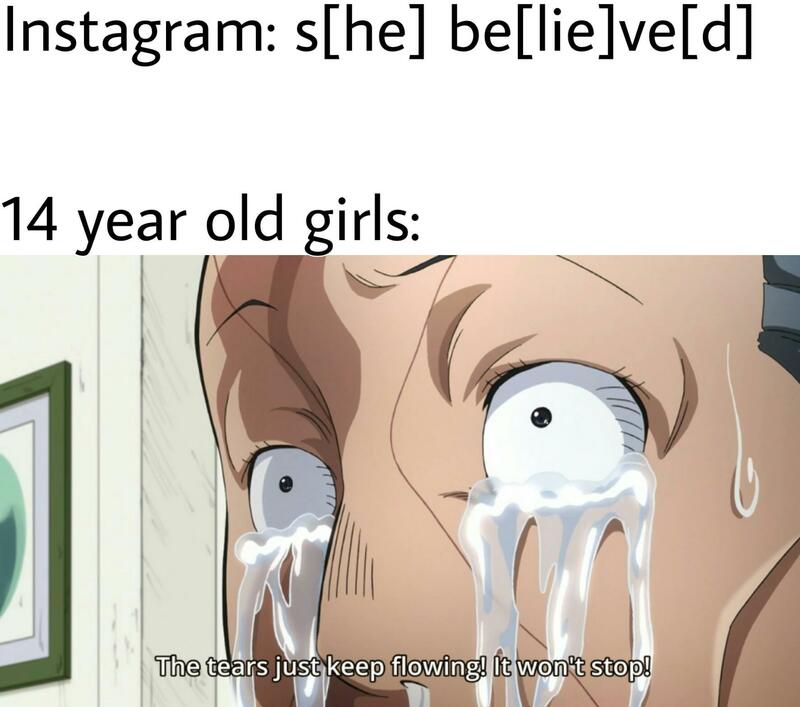 S[he] be[lie]ve[d] simply acts as a stand in for any particular quote that teenagers might burst into tears upon reading. 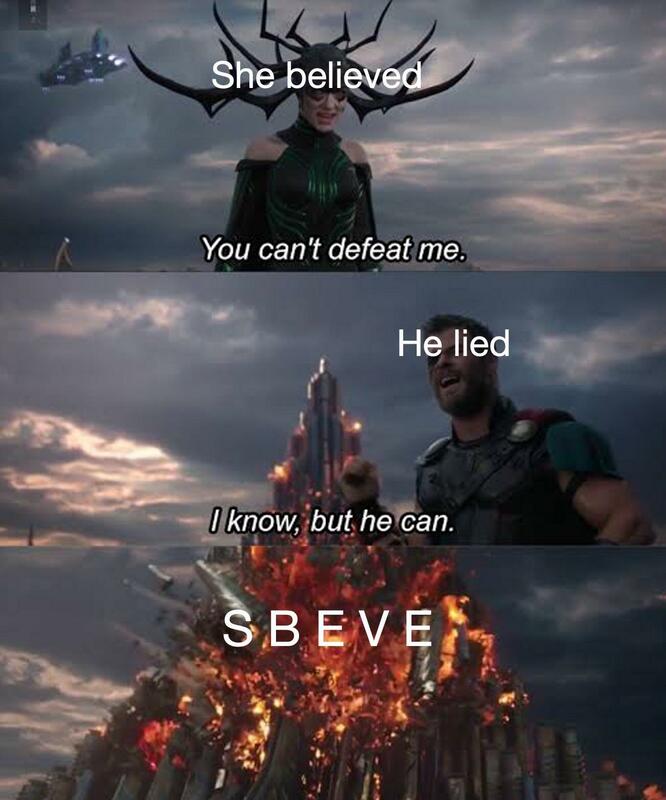 Certain memes documented the way in which sbeve burst onto the scene. 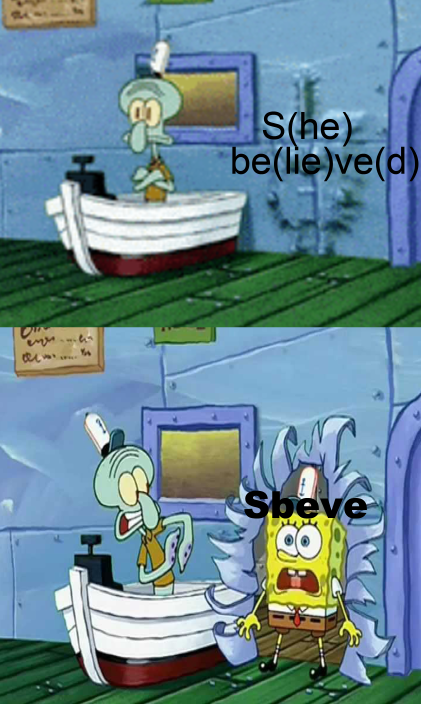 These memes portray sbeve as a surprising discovery or as an unexpected revelation of something previously disguised. 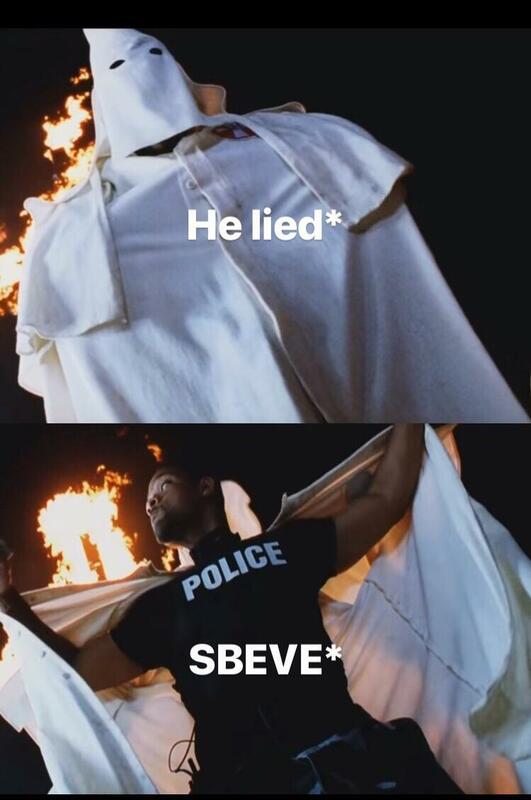 The uncovering of sbeve is clearly something awesome being discovered within something totally mediocre, as exemplified by the KKK outfit revealing the bad-assery of Will Smith in Bad Boys. 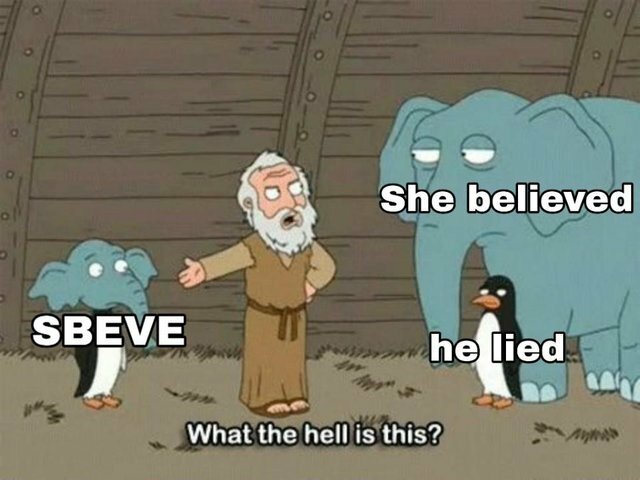 The beautiful aspect of discovering sbeve was that now, instead of merely interpreting the paltry significance of a boy/girl drama, the very meaning of sbeve itself could be examined in relation to the prior two phrases. A world of possibilities opened up for the stories that could be told. Is sbeve the destruction wrought in the conflict between Thor and Hela? Is sbeve a new iteration of humanity, outstripping the capabilities of ordinary men? Because the essence of sbeve is created in the imagination, sbeve is all these things and more. Sbeve took on a personality of its own as it grew and was developed through imaginative iterations of its creation. 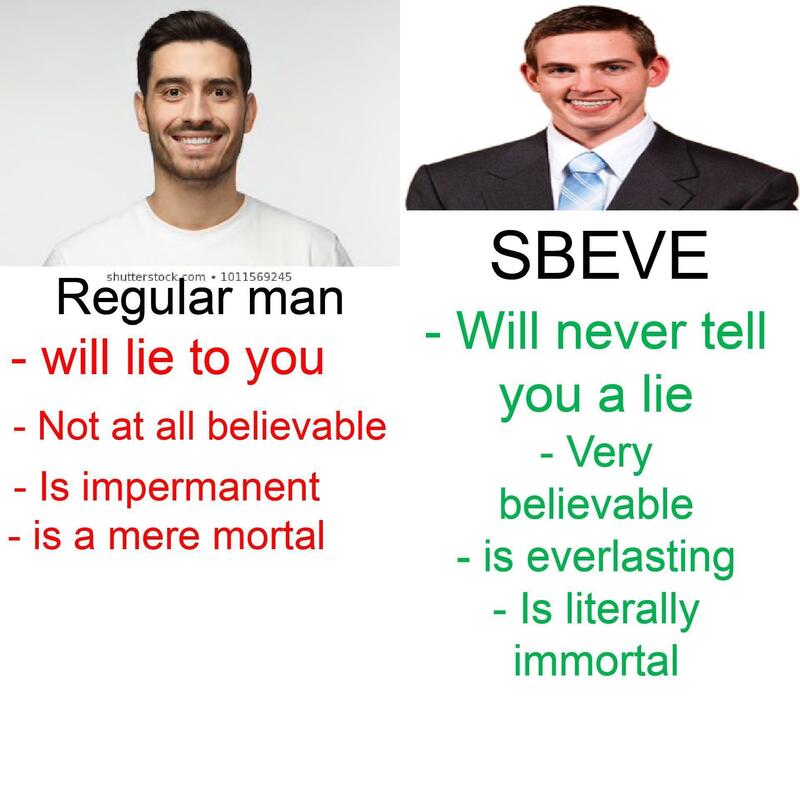 Sbeve is characterized as the superior, more valid alternative that evolves out of its inferior s[he] be[lie]ve[d] ancestor, in a similar manner to how homo sapiens outpaced the now extinct Neanderthal. 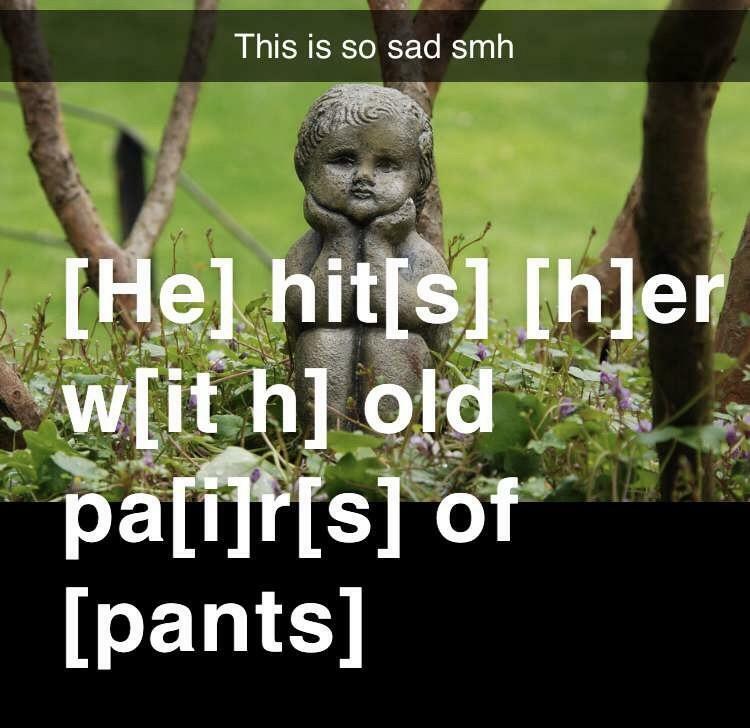 Interestingly, the humor within the sbeve memes draws upon an ancient rhetorical construction of paraprosdokian, which means “contrary to expectation,” often used by comedians and satirists. 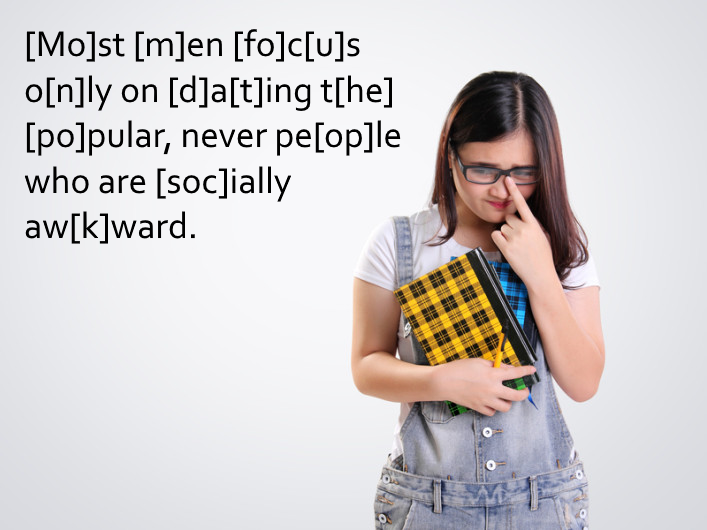 This term refers to the way in which information expressed later in a sentence or story can reframe the prior understanding of the story, often in a humorous manner. 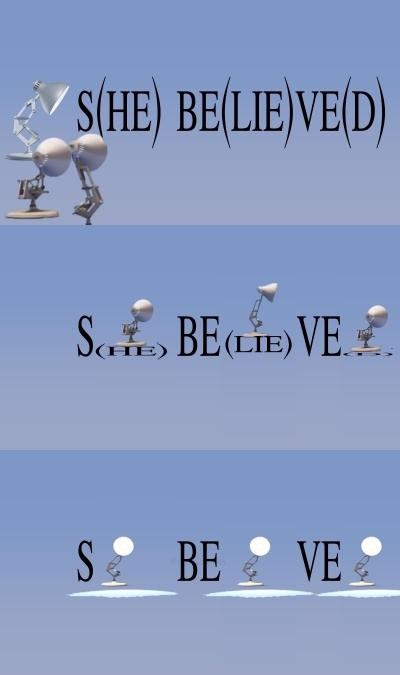 This humorous transformation can be seen in the line spoken by Bill Hicks, “I sleep eight hours a day…and at least ten at night.” Presenting sbeve at the end of the message s[he] be[lie]ve[d] reframes the drama of the phrase into a humorous means of poking fun at overly emotional teenagers. 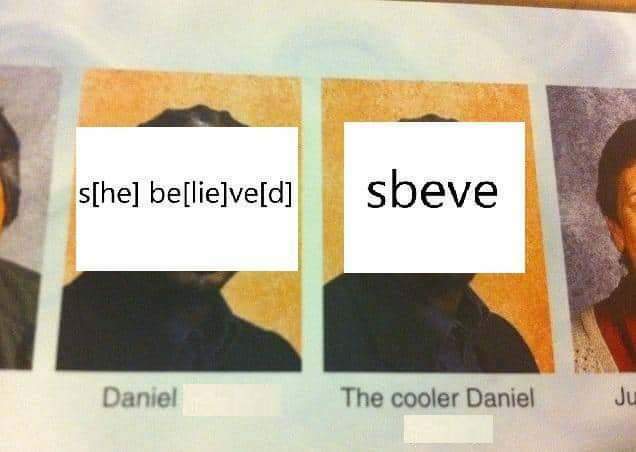 Other memes quickly took on the same construction of s[he] be[lie]ve[d], often presenting an emotional or dramatic message, but accompanied by an absurd phrase within the brackets that reframes the meme as humorous, rather than evocative. Sbeve taught the internet the value of paraprosdokian, whether or not it actually knows what this term means. 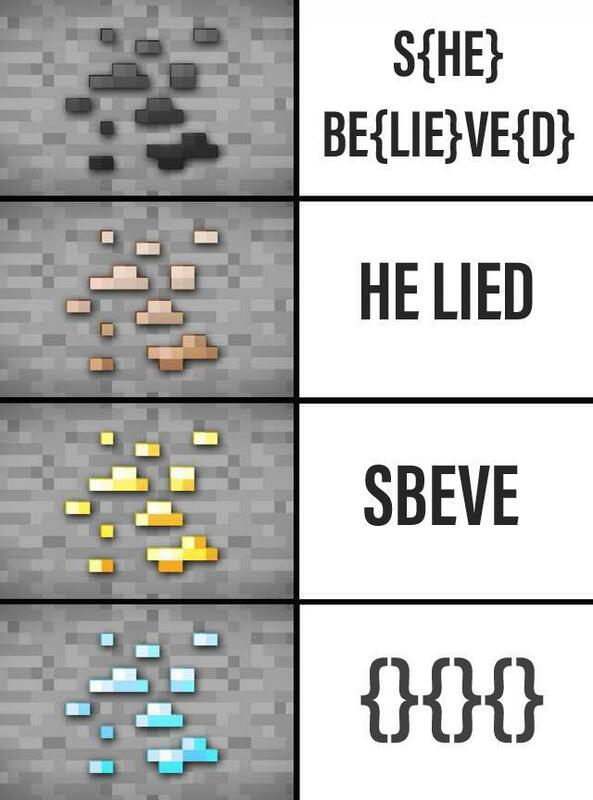 Anyone who creates or enjoys these memes owe 14 year-old girls everywhere a debt of gratitude, because if not for them, sbeve would never have been discovered.